A new version of Pinnacle Cart is scheduled to be released on February 18, 2010 around at 2PM (PST). According to the company the new version 3.7.0 brings a number of new and important features. The producer claims that the new Pinnacle Cart shall bring more visitors to the e-commerce website owners who are using it. “It is our company’s vision to provide software that generates more traffic to your website, increases your visitor-to-purchase ratio and your average order. This release accomplishes all three! It has been a long time coming and we have a lot blood, sweat and tears into making this release a solution with features that will make you more money”, says Pinnacle Cart in their pre-launch new release . According to the software producer the PCI Security Council is certifying that its customers will be using “one of the most secure applications in the industry”. 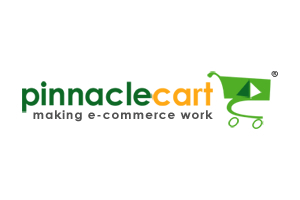 Pinnacle Cart’s team says that only small number of other similar e-commerce solutions have reached this level of accreditation. Michael Auger the president of the company says that it wants to thank all of their customers for the feedback they provided on the beta release and for the hours spent in testing the application. The new version of Pinnacle Cart costs $797, while the previous ones were sold at $597. The current customers of the company can upgrade their e-commerce software for free. The upgrade is included in their monthly service agreement. Besides the licensed option quoted above the Pinnacle cart also offers hosted plans to its customers. The shopping cart producers competes web hosts by offering website owners hosted services on RackSpace Cloud. The “Starter” web hosting plan features 200 MB storage space and 5 GB of monthly data transfer. The price of this plan is $54.94/month with $49 set-up fee. It includes a monthly license of the Pinnacle cart. The e-commerce software producer also targets the personal website owners and small-business owners by offering them $50 free Google Adwords credit. It applies to all web hosting plans. However the model of selling this advanced e-commerce solutions will probably make it less attractive to web hosters, which the Pinnacle cart competes directly by selling the Rack Space web hosting to its own customers.